The left wing said they’d abolish poverty; right wing said they’d abolish bureaucracy. Odin said he’d abolish ice giants. Where are the ice giants? 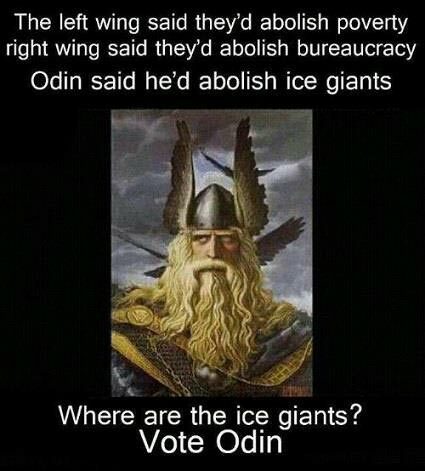 Vote Odin!